The Martinborough Winery has been a long standing venue for musical events, and a key player in the annual Toast Martinborough event. 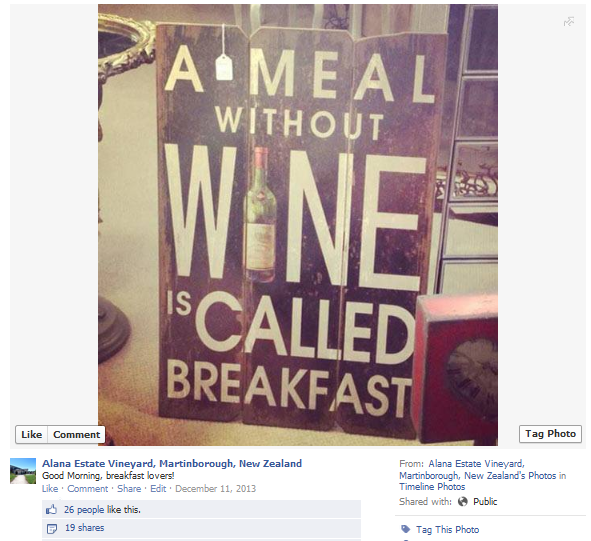 Through our Social Media Maintenance, Alana Estate had become one of the most engaged with wineries in the country, and continues with its success through the increase in wine sales its been able to promote through their newsletters. 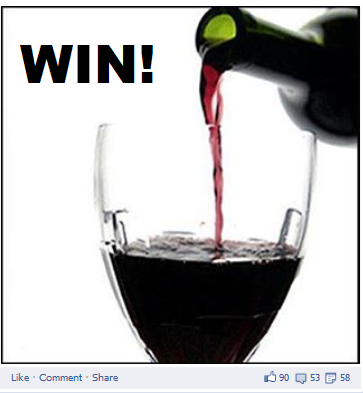 While the Social Media profiles featured activity to increase wine sales, we were able to strike a balance between these and building a community, which many joined to contribute with wine-related content, photos of their ‘Alana Experience’ and become active Alana Estate supporters around the world. 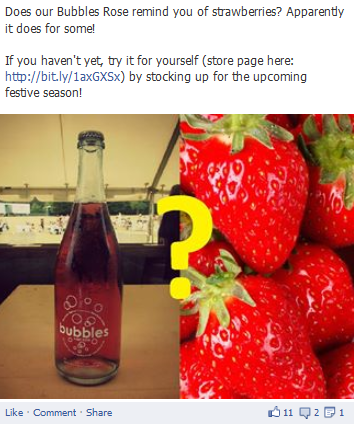 During the 2013 Toast Martinborough Event, the SocialeMedia team were stationed at the winery, signing up the party go-ers up to the newsletter, involving them in a competition and continuing engagement on both Facebook and Twitter, making Alana Estate the most active winery in the country on the day. The Social Media engagement drove people to the Estate, and helped them navigate their way around the event through simple communication and engagement, gaining loyal fans and long-term customers as a result. 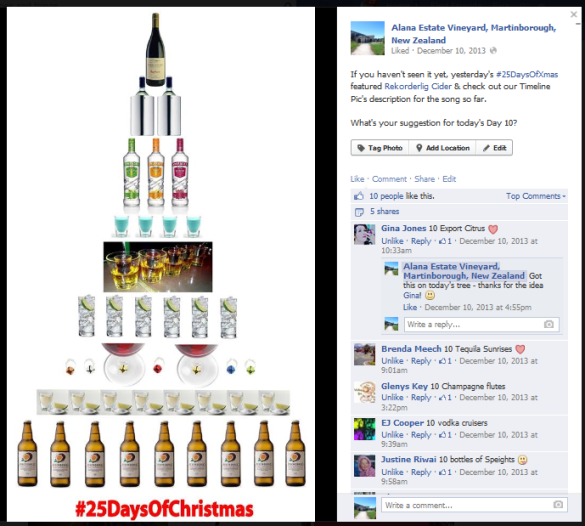 Another concept we initiated was the #25DaysOfXmas over the holiday period, where we increased brand awareness of Alana Estate, putting them up next to the country’s other known consumption brands on a tree, based on what fans wished they could receive for Christmas. Those brands, in turn promoted Alana Estate increasing awareness for all.